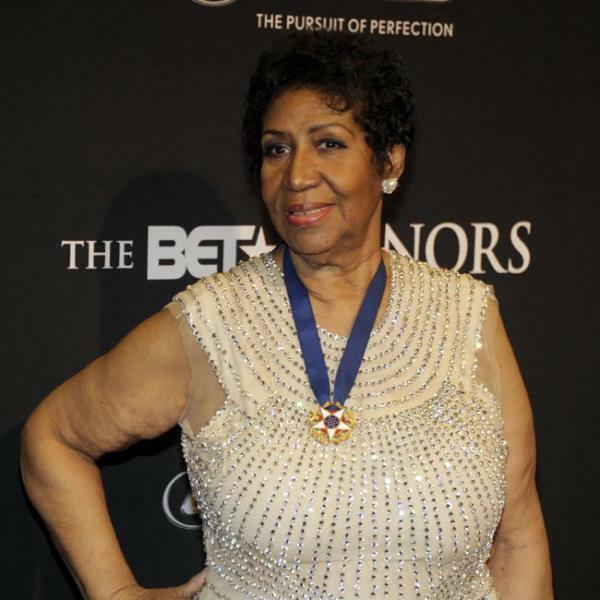 The Queen of Soul, Aretha Franklin, will release an album Oct. 21 covering classic songs from other female singers. Aretha Franklin is showing some R-E-S-P-E-C-T to her fellow divas: The Queen of Soul will release an album Oct. 21 covering classic songs from other female singers. "Aretha Franklin Sings the Great Diva Classics" will include songs such as Gladys Knight's "Midnight Train to Georgia," Barbra Streisand's "People" and Whitney Houston's "I'm Every Woman." The most contemporary track is a reworking of Adele's colossal hit "Rolling In the Deep," which is the first single off the album. It will be available digitally Monday, when the 72-year-old will also perform the song on "Late Night with David Letterman." "Great Diva Classics" reunites Franklin with longtime collaborator Clive Davis. "I mean, it is great," he said in an interview. "For her to do all these songs, it's very exciting." Kenneth "Babyface" Edmonds and Andre 3000 are among the album's producers. Other songs covered by Franklin include the Supremes' "You Keep Me Hangin' On," Alicia Keys' "No One" and Dinah Washington's "Teach Me Tonight." The icon's version of Gloria Gaynor's "I Will Survive" will incorporate some of Destiny Child's "Survivor." The opening track is Etta James' signature song, "At Last," and Franklin closes the 10-track set with Sinead O'Connor's "Nothing Compares 2 U."